The GD and 2D hammer mills are designed for the animal feed industry, to grind raw materials into small particles and meal. Both the GD and 2D hammer mill series cover capacities ranging from 5 – 100 tons per hour, dependent on type of raw material, formula and required grinding structure and can be incorporated in a pre-grinding as well as a post grinding system as a complete grinding solution including pre-bin, feeder, magnet cleaner, hammer mill, discharge hopper, aspiration filter, fan and control system. Grinding raw materials to the required structure is an essential operation in a feed mill. 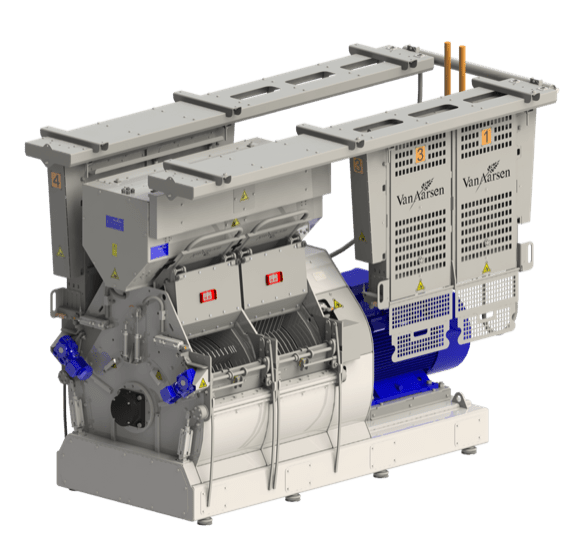 The Van Aarsen GD hammer mill with automatic screen exchange system combines optimum particle size reduction with low maintenance and high capacity. The feeding device with heavy parts separator ensures optimum safety. An unique feature of Van Aarsen hammer mill is that the hammers can be rotated or replaced quickly and easily by a single person. 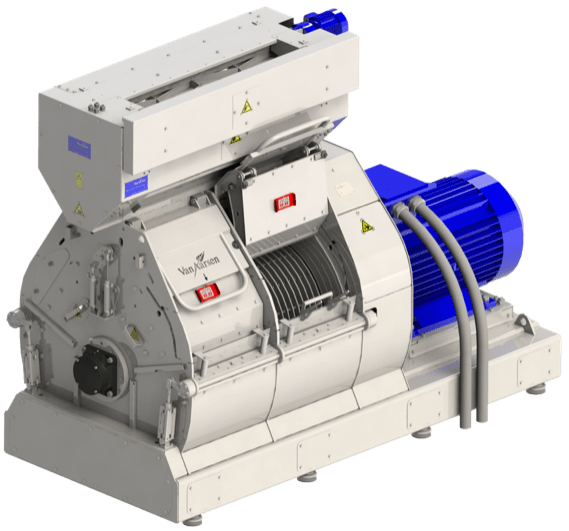 The Van Aarsen hammer mill range covers capacities ranging from 5–100 tons per hour, dependent on type of raw material, formula and required grinding structure. The automatic screen exchange on the GD hammer mills allows you to automatically change 3 different screen types. 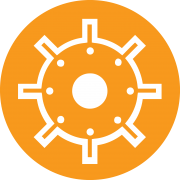 In combination with the frequency controlled motor a wide range of structure milling is made easy. The automatic screen exchange on the GD hammer mills allows you to automatically change 3 different screen types. 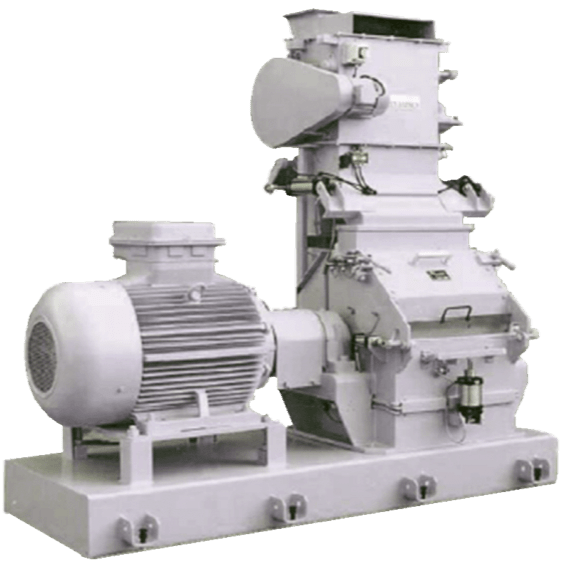 By removing metal, stones and other heavy parts from the raw material, the chance of explosions in the grinding chamber of the hammer mill is reduced. By preventing stones and heavy parts from entering the hammer mill, the lifetime of the screens will increase. The feeding devices are compact, yet robust machines that are designed to be combined with the GD hammer mill and also the automatic screen exchange. Type HM GD: standard feeding device with automatic ferro parts separation. Type HM GD HPS: feeding device with automatic ferro parts separation and heavy parts separator.